The information presented on this page was originally released on June 15, 2012. It may not be outdated, but please search our site for more current information. If you plan to quote or reference this information in a publication, please check with the Extension specialist or author before proceeding. MISSISSIPPI STATE – June’s frequent rains and cool nighttime temperatures seem custom-made for corn, and the result is optimistic farmers looking at a great crop with tremendous yield potential. Erick Larson, grain crops agronomist with the Mississippi State University Extension Service, said the crop is as much as 10 days early and looking good. “We’ve had a lot of favorable conditions lately that should be very beneficial and will hopefully lead to a more productive crop than we’ve seen in the last few years,” Larson said. 2007 is the record year for corn in Mississippi; the state averaged 148 bushels of corn per acre. The last two years have been hot and dry, and the state’s average has been between 126 and 136 bushels an acre. “Our yields have been steadily increasing with better management over time, and we may be able to produce more than the 2007 yields this year if favorable conditions continue,” Larson said. June is the most important month for corn production, as the crop is in its reproductive stages. High temperatures, especially at night, hinder grain fill and lead to low yields. About 50 percent of the state’s corn crop is irrigated. Recent, regular rains across much of the state have helped provide the nearly 2 inches of moisture corn needs each week in June. For irrigated fields, production costs are lower and for dry land corn, the plants are getting the moisture they need at a critical time. Recent severe weather, including hail and high winds, has caused localized, severe damage in areas around the state since May 20. Ernie Flint, Extension agronomic crops agent in Attala County, said his area dodged the recent wind damage but had problems with hail in one 20-square-mile area. But the rest of the area’s corn crop looks phenomenal, he said. “This is the best pollination I’ve seen us have in several years. The ear size is fabulous,” Flint said. 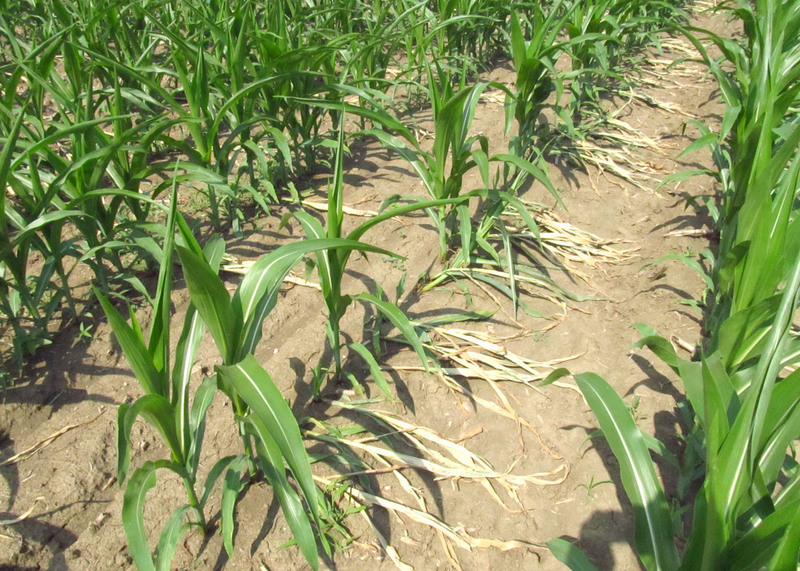 Don Respess, Coahoma County director for the MSU Extension Service, said the high winds blew some corn over, but he expects most of it to straighten up. Overall, area corn looks wonderful. Conditions have been ideal for corn to date, and prices are average. 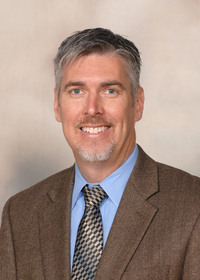 John Michael Riley, Extension agricultural economist, said new crop prices are $4.75 to $4.90 a bushel in Mississippi, and September futures are $5.20 per bushel. These prices meet the five-year average, but they are about $2.50 a bushel lower than prices this time last year. Riley said hot and dry weather across the United States, especially in the Corn Belt, has many concerned about final yields. “The market has been on quite the rollercoaster lately, dealing with issues such as the large number of corn acres, its being ahead of schedule and deteriorating crop conditions in some parts of the country,” he said.